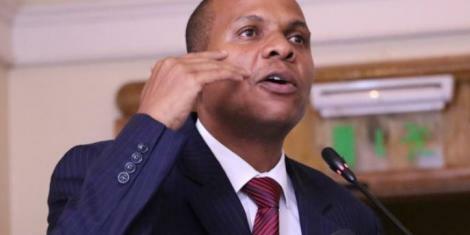 Thursday April 11, 2019-Former Garsen MP, Danson Mungatana, was arrested today morning by EACC officers over fraudulent operations. Mungatana is among 21 suspects set to be charged following investigations carried out by the anti-corruption body. Among the charges the suspects are facing are; fraudulent acquisition of public property, uttering false documents and dealing with proceeds of crime. Mungatana was arrested alongside 6 County Government officials from Kilifi County for manipulating tenders using fake companies and receiving money without supplying anything. According to investigations, the stated companies did not offer any services nor supplied goods to the County Government of Kilifi in addition to the Local Service Orders (LSO) used were fake as they did not originate from the county Government.